It is widely known the past few years – and especially to the owners in Greece of the models mentioned above – a certain problem that has arisen with the rotor assy of the motorcycles in question. To begin with, the problem specifically starts with the detachment of one – or more – of the static magnets of the rotor assy, resulting in, their entanglement with the coils of the stator assy of the generator while the engine is operating. 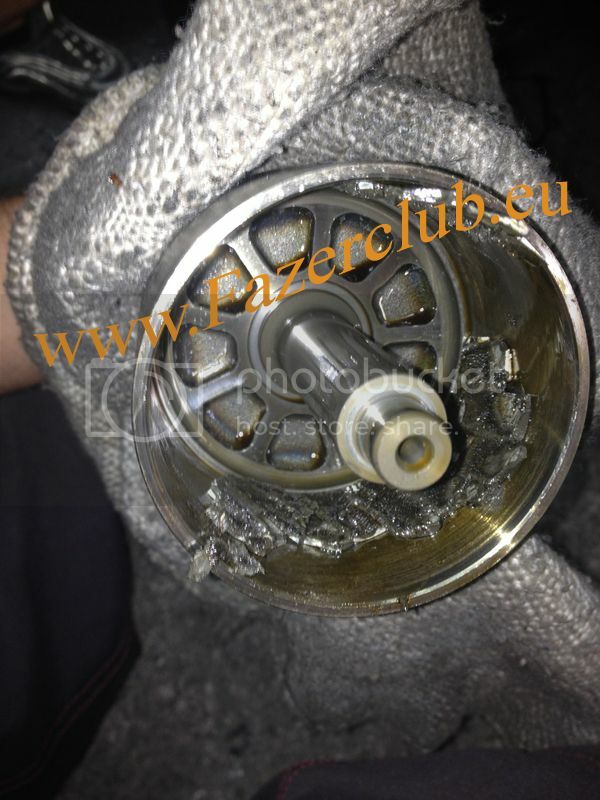 The result of this malfunction is the immediate shut down of the engine, without any warning sign, destroying in most cases both the stator and the rotor assy! This can be construed as a major threat to the rider since it may well happen in an unsuspected time, without any prior warning or indication. Therefore, it might as well be considered a lethal threat as it is likely to occur while a motorcycle is on the move, regardless of speed, or even worse, on incline. If that doesn’t sound, scary, we don’t know what else could! It is also true that this phenomenon has reached epic proportions nowadays, since a disappointing 30% of the Fz1 owners in our club has dealt with this specific problem. The remaining 70% is most likely to face the very same problem any time now. The manufacturing company, Yamaha, has dealt with this problem by constructing in 2014 a new and improved version of the same product, under new part number code, accepting in this way – though entirely informally - the defectiveness of the original product. At this point, it must be mentioned and noted that the specific part is an integral part of the motorcycle’s engine and it is neither, in any way, subject to the rider’s handling of the motorcycle nor it requires maintenance in any case. This is mainly the reason why this malfunction-damage must be considered of vital importance as it renders the motorcycle unsafe! 1. The immediate recall of all models (Fz1 2006+, Fz8, R1 2004 – 2008), where the specific product has been placed during either at the manufacturing stage or at the repair-maintenance one (code: 5VY-81450-00-00) and its replacement with the new and improved product (code: 2SH-81450-00-00). 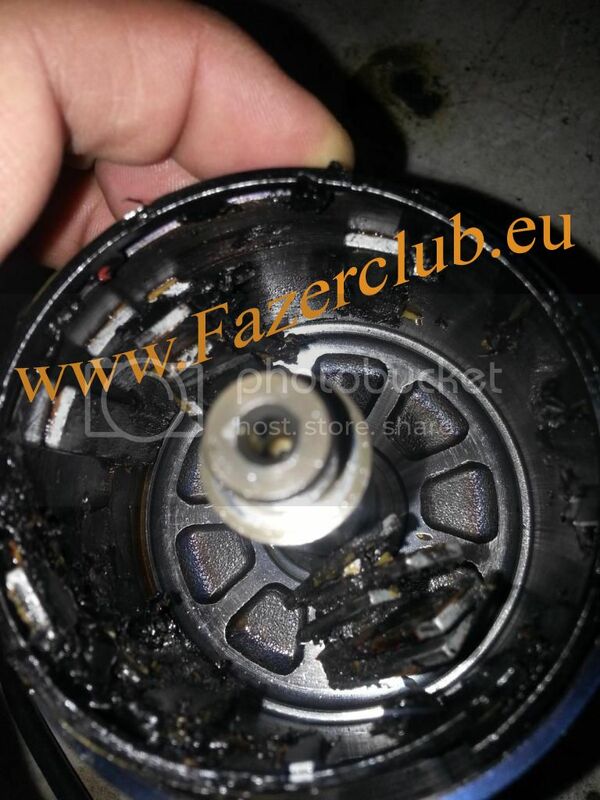 To conclude, this recall procedure, originates from the Fazer Hellas Club and aims to resolve this issue, the so-called rotor assy epidemic, devoid of any personal benefit but simply for the riders’ safety. Please take into consideration that we have all chosen Yamaha for its integrity and reliability and therefore aim to extend this partnership in the future as well. It would be disappointed to lose our trust towards a company that we ourselves have so willingly supported. WE ARE STAND BY FOR ANY HELP YOU NEED!!! In Spain we are fighting to get paid for the broken rotor or to change it. Στην Ισπανία αγωνιζόμαστε για να πληρώσουμε για το σπασμένο ρότορα ή για να το αλλάξουμε. You can find the whole topic here viewtopic.php?f=26&t=23999 try to use a translator. 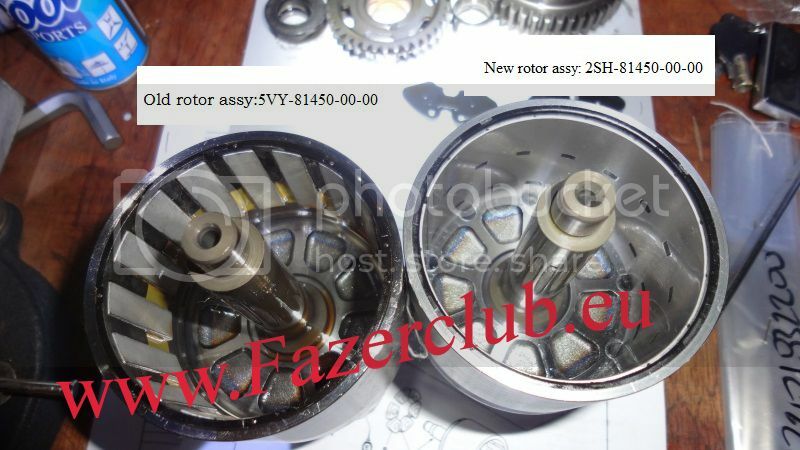 So, bikes were purchased and the rotor broke within 5 yrs, yamaha did not charged the owners, everyone else paid the new rotor. The guys who bought the new type of rotor (2014) seems to be ok ith it.